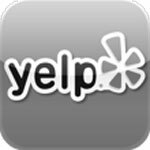 Looking for auto, business, or residential window tinting in Rancho Bernardo, California? Whether you’re after a special custom look, privacy, more comfort with energy savings, or added security you want the job done right so that it looks perfect and lasts year after year. We’re the local experts with years of experience in car window tinting in our shop as well as in on-location home window tinting and commercial window tinting services. Because quality makes all the difference. There’s no need to risk bubbles and other faults that end up making things look worse rather than better. Our top-rated window tinting services focus on installation by expert technicians, and we provide only high-quality window films from leading manufacturers. We guarantee our work, not to bubble, peel, or crack. Beyond Rancho Bernardo, you’ll have manufacturers’ warranties backed nationwide, with some brands even offering lifetime coverage. 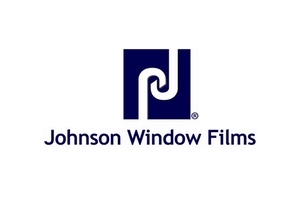 Providing the benefits of tinted and reflective windows without the high cost of glass replacement, there are many great reasons for adding window films. As solar control blocking out the sun’s heat they keep you cooler in the summer and many even keep you warmer in winter yet also provide energy reductions in reducing air conditioning and heating. They reduce or eliminate glare, and by blocking nearly all harmful UV rays they guard interiors against fading and aging. And of course, with a wide choice of tint and shades, they add a great new look. Whether you’re after a sleek new look, elegant privacy, or practical comfort and protection we provide the best in car window tinting for our Rancho Bernardo customers. Blocking up to 63% of the sun’s total energy and 99% of its UV rays you’ll keep your cool and protect your ride’s interior against fading and drying. 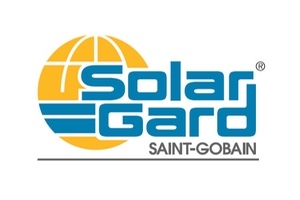 We feature world leader Solar Gard® for its superior optical clarity, scratch resistance, and long lifetime, and we stock other leading brands as well. All-metal tint films provide a reflective finish for superior glare prevention and the longest lasting protection. 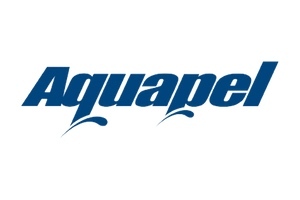 Additional manufacturers include Infinity OP™ and SunTek. Non-reflective films can provide a matte finish and absolutely no interference with GPS, SiriusXM, and smart phone reception. Other leading manufacturers include Johnson and Galaxie™. We’ll be happy to discuss the pros and cons of the many options to help you arrive at the right choice. Our experienced and highly-trained technicians can also auto glass repairs and windshield replacements, including matching factory tints. You’ll get factory-quality work at our shop just a half-hour from Rancho Bernardo. 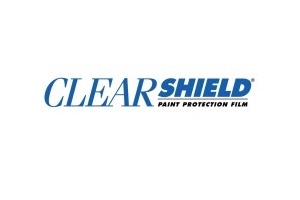 Our other services include installing Clearshield® advanced automotive paint protective coating. It’s not just for automotive use. Home and commercial window tinting also has some great benefits in appearance as well as solar control for improved comfort and energy reduction. And it too can block some 99% of UV rays. You can have great views without furniture, artwork, and carpets fading. It makes since that commercial and residential window tinting can keep you cooler and save big-time on air conditioning bills — selected window films from industry leaders such as Solar Gard® can block as much as 82% of solar heat. That’s important in warm and sunny Del Mar. So there’s a big advantage — energy reduction without replacing all your windows and glass doors. But you may be surprised to learn that it also helps in the winter by reflecting up to 30% of radiant heat, keeping it inside to keep you warmer. Products such as Armorcoat® safety and security films also strengthen windows and glass doors to reduce injury and deter burglars. Rancho Bernardo companies large and small also benefit from retrofitting with quality commercial window tinting. In addition to reducing energy use they offer improved customer experiences and increased employee productivity while maintaining a professional appearance. 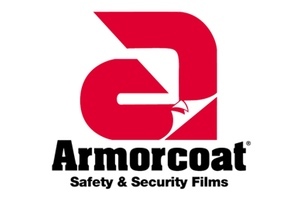 We can also install security films such as Armorcoat for nearly invisible protection of storefront windows and glass doors to add strength and shatter resistance, with the benefits of safety and smash-and-grab deterrence. Graffiti Guard is another option that is quickly and easily replaced after keying or spray-painting, and helps protect the underlying glass against scratching and gouging. Solar Gard® is also a worldwide leading manufacturer of home window tinting products for solar control and energy reduction. With our expert installation Rancho Bernardo homeowners can choose anywhere from barely noticeable to high-performance reflective coatings. Rejecting as much as 75% of sunlight you’ll have improved comfort and reduced air-conditioning bills. Some residential window tinting products also reflect back interior warmth (infrared rays), reducing window heat loss some 30% to keep you cozy in winter as well. Blocking 99% of ultra-violet rays tint films also protect your window treatments, furniture, and artwork against fading. The stunning looks of Decogard™ are increasingly popular in providing privacy for sunrooms, bathrooms, and home offices. If you’re into vintage and muscle cars, be sure to check out the annual Wheels of Freedom Car show here in Rancho Bernardo. You can find info at http://spiritofthefourth.org/motorshow.html and photos from last year at http://powaycruisers.com/wheels-of-freedom-car-show/.